Image size 8 7/8 x 11 13/16 inches (225 x 300 mm); sheet size 12 5/16 x 16 3/8 inches (313 x 416 mm). A fine, rich impression, with full margins (1 5/8 to 2 3/8 inches), on cream wove paper, in excellent condition. In the original AAA mat. 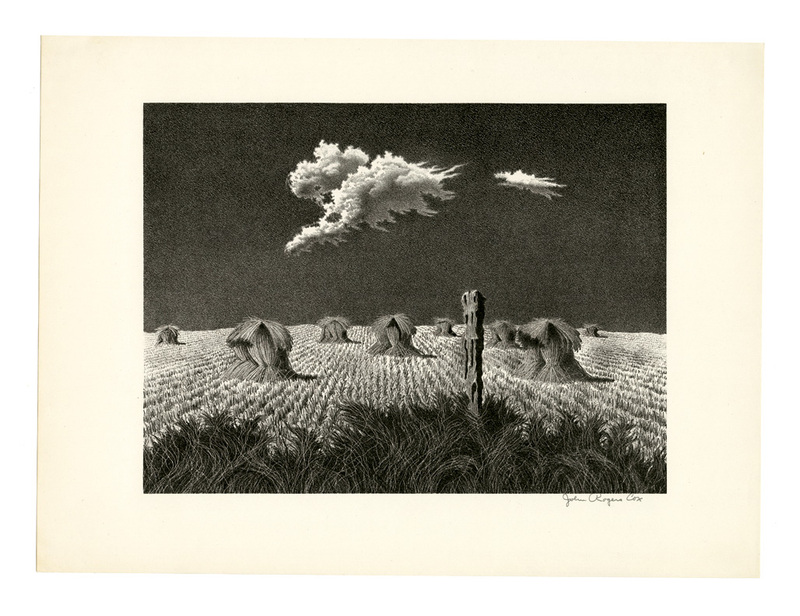 The artist's only lithograph, published by Associated American Artist's, New York. 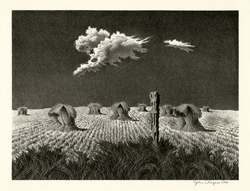 Reproduced: Kraeft’s Great American Prints 1900-1950, June and Norman Kraeft; and American Prints in the Library of Congress: A Catalog of the Collection, John Hopkins Press, 1970. Collections: Carnegie Museum of Art, Cleveland Museum of Art, Dallas Museum of Art, US Library of Congress, Mead Art Museum (Amherst), National Gallery of Art.